SAN DIEGO, CA—Opioid use was associated with an increased risk of hospitalizations for serious infections, and was higher with current use at higher daily doses and when using long-acting formulations, data from a case series analysis has shown at IDWeek 2015. Older adults who are prescribed opioid analgesics are at an increased risk for serious infections, and increasingly are prescribed opioids for non-cancer pain, explained Andrew D. Wiese, MPH, from the Department of Health Policy at Vanderbilt University Medical Center in Nashville, TN. Wiese and his colleagues set out to assess whether opioid use is associated with an increased risk of serious infections in older adults enrolled in Tennessee Medicaid, or TennCare. For the study, they conducted a self-controlled case series analysis on a retrospective cohort of adults ≥50 years of age enrolled in TennCare from 1995–2012. Patients with serious medical conditions at baseline were excluded from the analysis, and the team performed within-person comparisons of the risk of hospitalizations for serious infections during periods of opioid use and non-use using conditional Poisson regression. “Secondary analyses classified opioids by new use, immunosuppressive properties, duration of action, and morphine equivalent dose,” Wiese explained. Serious infections included pneumonia, meningitis, encephalitis, septicemia, cellulitis, soft-tissue, endocarditis, pyelonephritis, infective arthritis, and osteomyelitis. Age, seasonality, nursing home residency, and use of glucocorticoids, proton-pump inhibitors, and disease-modifying antirheumatic drugs were the time-varying covariates. Study authors conducted sensitivity analyses to determine fulfillment of model assumptions. Of the 70,826 individuals, pneumonia was the most common (67.9%) of the 100,660 hospitalizations for serious infection. 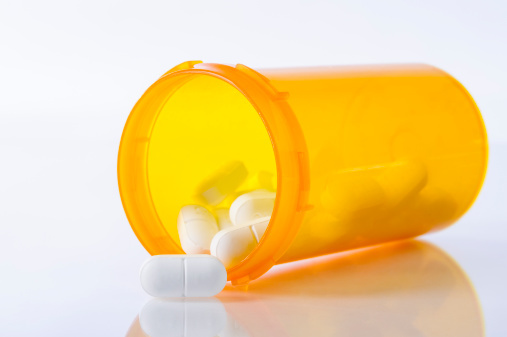 The most commonly used opioid was hydrocodone (46.2%). A total of 15.1% of the 391,117 person-years follow-up was classified as “current use”; “recent use” was 26.5%; and “non-use,” 58.4%. Data revealed the adjusted incidence rate of serious infection was greater during periods of current opioid exposure vs. no exposure (incidence rate ratio [IRR] 1.47, 95% CI: 1.43, 1.51). The increased risk was highest during new use of opioids (IRR 2.20, 95% CI: 2.08, 2.32), current use of immunosuppressive opioids (IRR 1.58, 95% CI: 1.50, 1.67), current long-acting opioid use (IRR 1.82, 95% CI: 1.70, 1.96), and current daily morphine equivalent dose ≥60mg/day (IRR 1.58; 95% CI: 1.52, 1.65) vs. no exposure to opioids. Sensitivity analyses “did not change the significance of the IRR estimate for current opioid use,” reported Wiese. “The incidence rate was higher among periods of current use when using potentially immunosuppressive opioids, but was not different from periods when using non-immunosuppressive opioids,” he concluded.